Firing Someone in Hospital?! That’s Dreadful Isn’t it?!?! Nobody wants to add to the distress of someone who’s undergoing treatment in hospital. But what should you do if you really can’t manage any longer without that employee returning to work? Can it possibly be fair to dismiss someone who’s in hospital? Surely the law is there to protect the vulnerable, isn’t it? Employment law strikes a balance between the right of the employee to be dealt with fairly and the needs of the employer to sustain its business. In some circumstances, it’s potentially fair and legal to terminate someone’s employment, even if they’re sick in hospital. But you do need to tread carefully. If your employee is in hospital, it’s fairly obvious that they’re genuinely ill. However, this doesn’t tell you the full story. How long is the employee likely to remain in hospital? Will they be fit to return to work when they come out? Does the employee have a disability? These are all factors that you should keep in mind before deciding whether it would be appropriate to bring their employment to an end. Remember – if the employee does have a disability, the Equality Act requires you to consider reasonable adjustments to the workplace in order to help them return to work. Before you reach any conclusions, you should follow the procedure set out in the ACAS Code of Practice on Disciplinary and Grievance Procedures. It may seem harsh to describe the circumstances as a disciplinary situation but nevertheless that is the procedure you are required to follow. In some circumstances, it is fair to continue with the procedure even if the employee is unable to attend the hearing. However, proceed very cautiously. An employee’s right to state their case at a disciplinary hearing is considered one of the most important aspects of employment law. An employer will always be judged on whether they’ve acted reasonably. 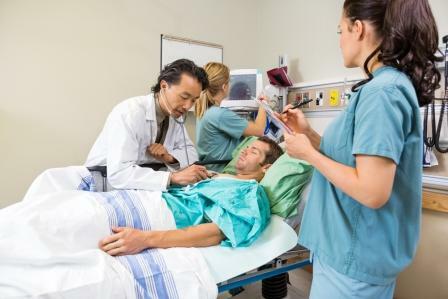 If it’s likely that the employee is going to be discharged from hospital soon, it’s less likely to be reasonable to proceed in their absence. A reasonable employer would be expected to wait a little longer. It’s probably reasonable to invite the employee to make written representations if they’re well enough to do so. 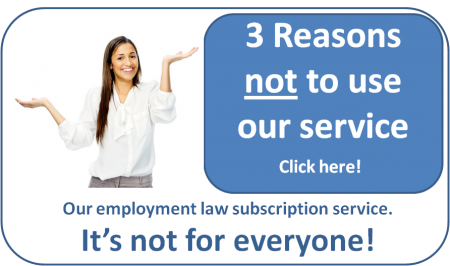 If there is really no prospect of the employee being well enough to attend or provide written representations, you should proceed in their absence but make sure that you have all reasonable evidence available in the circumstances. Keep a clear record of any discussions and the reasons for any decisions. As an employer, you are required to act reasonably. whether or not you can reasonably be expected to cope until the employee returns. Larger employers with greater resources are expected to be able to cope for longer. A dismissal does not actually take effect until the employee is notified of it. If you write to the employee in hospital, the dismissal will only take effect when the employee reads the letter. If they’re not well enough to read it, they will technically continue to be employed. This may mean that you are required to continue paying them sick pay if they are still entitled to it. Nobody feels comfortable sacking an employee who is in hospital. As a fair and reasonable employer, you will want to tread carefully and not cause unnecessary offence. If you do decide that you need to bring the employee’s employment to an end, following the advice in this blog will help to ensure you don’t end up in an employment tribunal. If you need advice on a particular situation, please feel free to get in touch. Previous Entry: Should You Pay the Minimum Wage or the Living Wage? Next Entry: Can a Bailiff Still Take my Goods if I have Applied for the Default Judgment to be Set Aside? Is it Ever Fair to Fire Someone for Being Off Work Sick? Responding to Gross Misconduct. Don’t make this mistake!